Here I am, ready to write the fourth chapter of my story of failed adventurer. A chapter about the dream of a pirate who travels to the eastern seas in search of fortune and glory and who defies oceans, crocodiles and hostile tribes; a pirate ready to take on with this in order to find himself and to help underprivileged children, robbed of their childhood dreams. After months spent in gathering information, studying maps, drawing routes and organizing the trip, it’s time to set sail. After chapter in Iceland I was convinced that I would be quiet forever, but it’s stronger than me… There was nothing to do, once again I fell back. The recall to adventure, the desire to get back into question and the need to be alone and to struggle to find myself prevailed. Now, while I’m working out and drinking some rum in company of a nice pirate girl and some escaped prisoners on a small island in the South China Sea, I find myself writing this new page of the logbook. I’m about to share with you this new venture which will start on January 3rd. At the beginning of the new year, accompanied by my faithful companion “Jethro II” (a SUP board), some food, barrels of rum and some newfangled gadgets for camping, I will sail from the town of Puerto Galera, in the North of Mindoro Island (Philippines), to the island of Palawan, then circumnavigate it and reach El Nido. 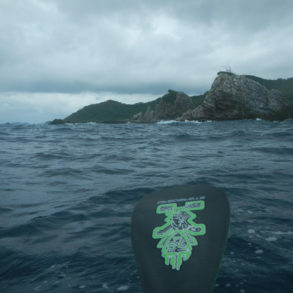 I’ll paddle for about 1600 km, a solitary and unsupported journey. The “Jethro II” is flying the Jolly Roger flag of Sea Shepherd, an association for the protection of the oceans, which has been fighting for years for saving whales and all marine life in danger of extinction (read this article to learn more). Although I am a supporter of Sea Shepherd, my initiative has nothing to do with the association and the decision to carry its flag with me is just my own initiative. 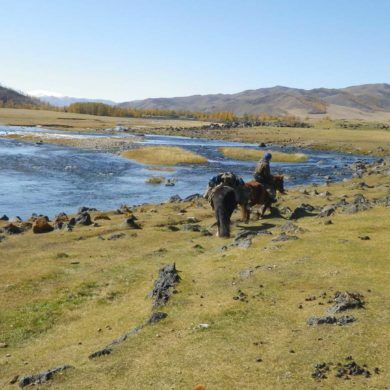 I chose this route because it allows me to visit some of the most beautiful places on the planet. 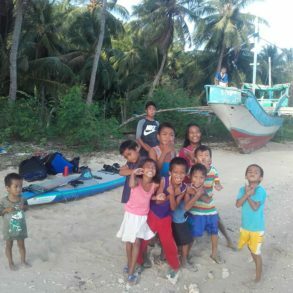 I chose it for the hundreds of uninhabited islands and the crystal clear water; I chose it because it will be difficult to cross a strait of open sea for over 100 km without assistance; I chose it because it takes me to regions, as Southern Palawan is, where tourism doesn’t exist for fear of saltwater crocodiles, kidnapping and malaria. I chose it because I want an adventure. I am aware of the risks that I’m facing, I don’t consider myself naive or irresponsible, but I think that if we really want to achieve our dreams we must be prepared to accept the danger and the fatigue involved. I have always wanted to be brave enough to become, one day, an adventurer like the ones of the stories that fascinated me when I was as a child. Tell me, how can I make my dreams come true without taking risks? I decided to get back into a game and, this time, to publish it on the internet not just to advertise me in case of success, but rather to have an additional input to complete this adventure. Unlike my previous journeys, this time the adventure is not just about me, but it involves also the Filipino children victims of abuses, as I asked and got to be spokesperson for the Stairway Foundation. I have in mind to raise money for this association that helps children in need to build their future and, at the same time, it also tries to change the Filipino society making it more aware of the serious situation of children abuse in the country. 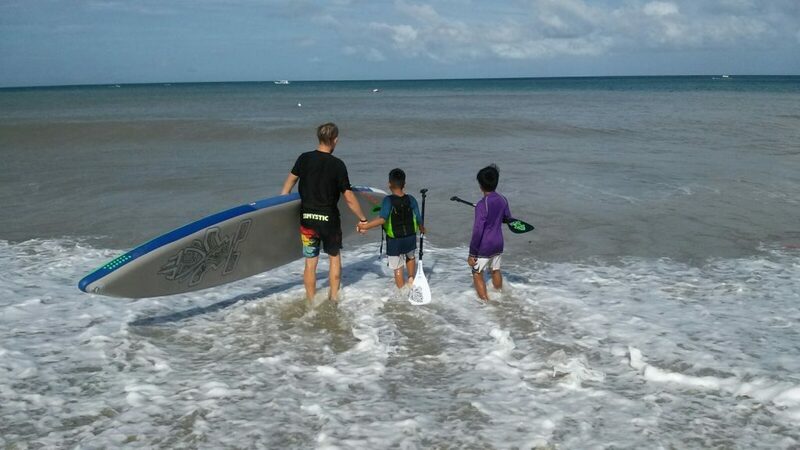 In order to raise money for the Stairway Foundation, during my trip I will teach SUP in the different resorts that I can find along the way and the income will be donated to the association. Honouring mine and especially their efforts in favour of children, you can also make donations directly on the website of the association. For more information on Stairway Foundation read this article or visit the website.questo articolo or visit their website. Easy: This phase will help to get in shape and get used to the weight of the table. 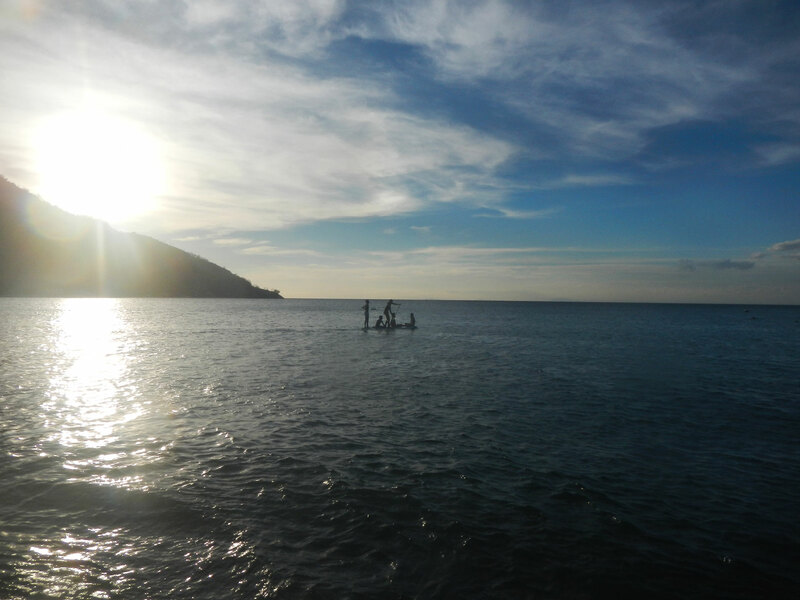 Sailing from Puerto Galera to the west, I will coast Mindoro Island until joining to the Pandan Island,. Here I will stop for a swim with the giant turtles and to drink some rum as an offering to Aeolus and Neptune before the baptism of the sea. Difficult: This is one of the most challenging parts of the trip. 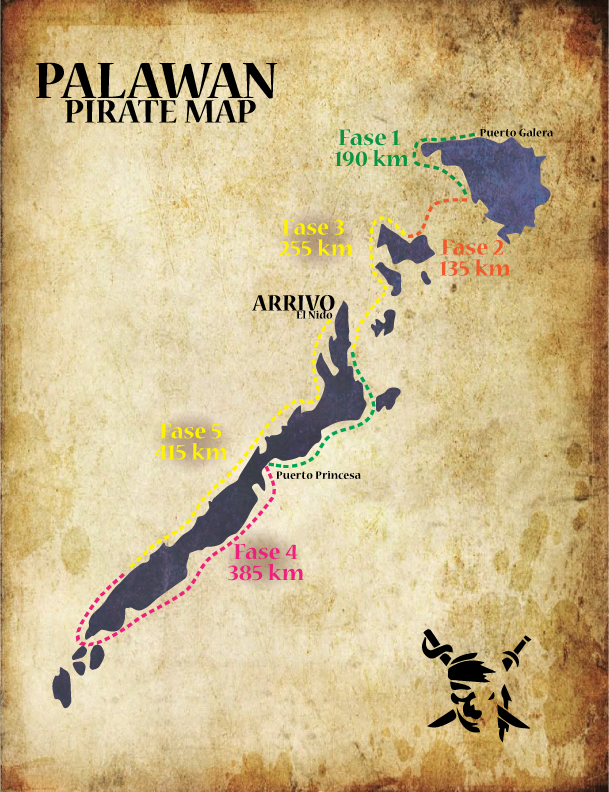 Here I need to prove myself if I am worthy of the title of pirate and if I can overcome the initiation rite, that consists of leaving from Pandan Island and crossing the strait of Mindoro (about 110 km). 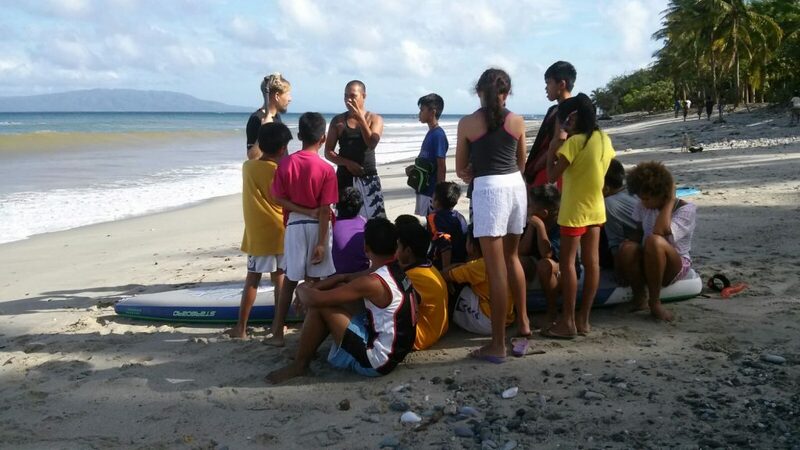 The first day of paddling will be over when I get to Apo island after 43 km. The island covers less than a sq. km and it is the only place where I can stop to sleep. It will be necessary to keep the course, if I don’t want to spend the night at sea. On the following day I will sail towards Nanga Islands, about 40 km in south-west direction. On the third day I will get to Coron, if weather, Aeolus and Neptune agree. 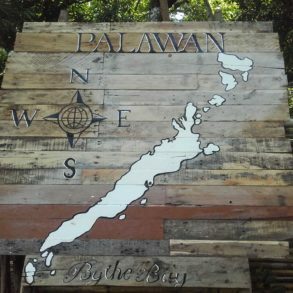 Cap 4.4 Siege at the Fort – 255 km Easy: arrived at the island of Palawan, I will coast it on the eastern side, proceeding South to the Fort of Puerto Princesa, where I will have to steal visa in the offices of the governor! Moderate: At the end of the trip I’ll probably meet some difficulties due to a contrary and off-shore wind. I predict that it will slow me down a lot in the parts where any islands cover my course. But, if I have arrived up to here, I will be fit enough to face the wind and finally get to El Nido, definitely a paradise I can’t miss. ne of the unknown factors of the route is how I can get the water, I’ll probably have to find it in the villages and carry it to my SUP board, or take it in the streams along the way. During the trip I am equipped with a GPS showing my position at this link. You can see my position at the homepage of the website. To avoid draining of battery I won’t update my position steadily, but I’ll try to do it as often as possible. Actually the main function of the GPS is to request aid in case of need, but I do hope I won’t need it! Well, I would say that’s all from the side of the errabundus sailor. I’m pretty excited and anxious to start this trip. I hope you still have five dollars left in your wallet and that you haven’t already spent your wage drinking rum in some pirate coves, so that you can help the Stairway Foundation’s children. The association is already doing a great job, but they still have much ahead to achieve as there are still many children who need help.